For this segment of our coverage, we've posted official write-ups and press photos already so I'll just give you some booth photos of the new First Order Stormtrooper Megablaster, Force FX Obi-Wan Kenobi Lightsaber, Poe Dameron helmet, and so on. You've seen it, it's good, now see it again. One of the surprise hits of The Black Series has been a series of higher-end fancy-boxed toy helmets from Hasbro. The Stormtrooper and Kylo Ren editions were strong sellers, and they look nice on a shelf. (My nose is too big to enjoy them.) This year, the latest release is Poe Dameron's Black Squadron helmet. Could this mean a white and blue variant is coming as someone's exclusive? I'd bet money on it. I love these things. But that's me - what does Hasbro have to say? Put on this deluxe helmet from THE BLACK SERIES and get ready to take flight as skilled X-WING fighter pilot POE DAMERON. 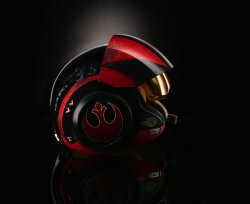 Experience battle like never before with a surround sound speaker system that amplifies X-WING and TIE FIGHTER vehicle sounds and transmits communications from loveable sidekick BB-8. 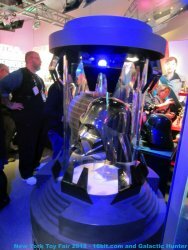 This unique helmet features exquisite deco and movie-accurate detail, putting collectors right in the middle of the action. Build a custom lightsaber fit for the most powerful Jedi in the galaxy! 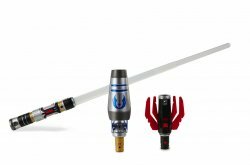 Extend the JEDI KNIGHT LIGHTSABER with a flick of the wrist and attach the double lightdaggers for close combat. 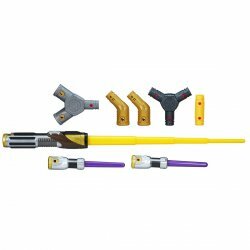 Compatible with BLADEBUILDERS LIGHTSABER components, each sold separately. 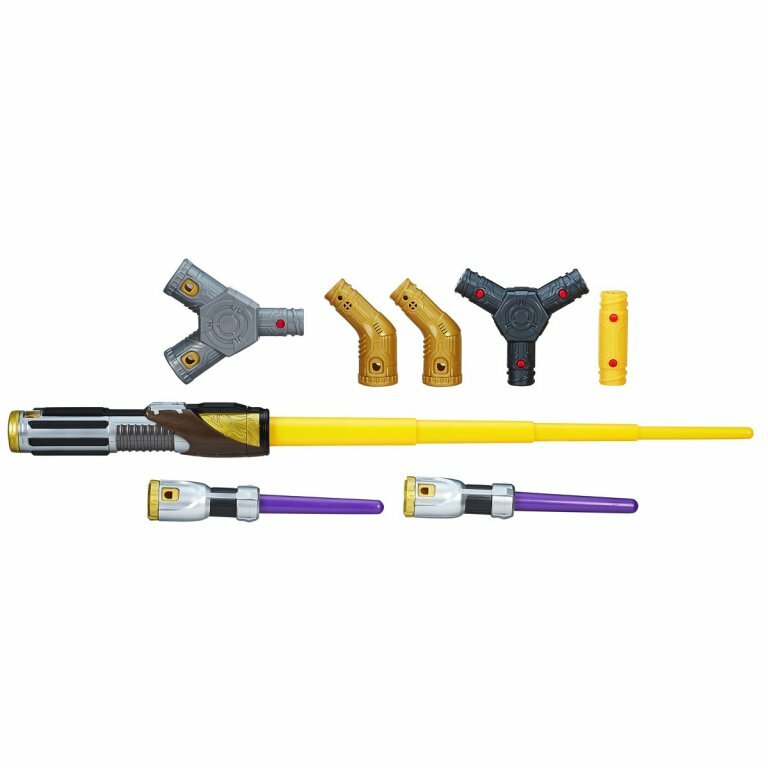 Includes yellow lightsaber, 2 purple lightdaggers, and 5 adjustable connectors. Available at most major retailers and on HasbroToyShop.com.